WiFi thermostats are skyrocketing in popularity, and it shouldn’t come as a surprise. Consumers nowadays are all about convenience. If a product can simplify their lives, they will generally pay more for it. In terms of thermostats, that means being able to operate the control from a remote device, such as a smartphone or tablet. It also means learning how to save energy via programmable scheduling or auto-programming. With this in mind, it’s no surprise that WiFi is gaining ground in the floor-heating market as well. 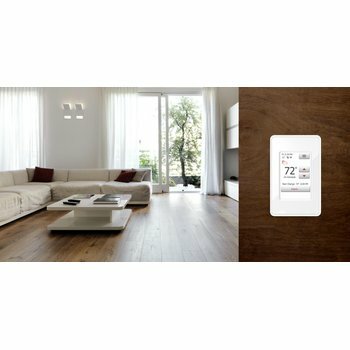 WarmlyYours Radiant Heating introduced its very own WiFi floor-heating thermostat recently. The nSpire Touch WiFi thermostat connects to the homeowner’s WiFi, allowing them to control their floor-heating system using their smartphone or Web interface. Plus, it’s programmable, allowing users to set four different “events” for each day of the week. This provides ultimate flexibility for families with varying schedules and also optimizes energy savings. By scheduling the floor-heating system to turn down or off when not in use and back up or on when it will be used again, homeowners are being strategic about how they use energy, thus saving them money. The nSpire Touch WiFi thermostat also features an Energy Log to help homeowners track their usage. Additionally, the thermostat has a unique child lock feature that prevents kids who don’t know the password from changing the temperature. A floor sensor also ensures that an accurate temperature is presented on the thermostat at all times. When it comes to floor-heating thermostats, this one can’t be beat. Nevertheless, some homeowners are loyal to a particular brand of thermostat, such as the Nest. They may use it for their heating and air conditioning and love it so much that they wish to use it for their floor-heating system as well. Believe it or not, they can! 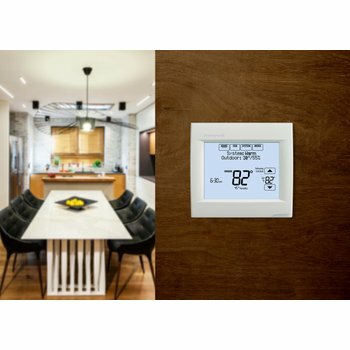 WarmlyYours offers third-party integration kits that make it easy for them to connect a WarmlyYours floor-heating system with many third-party thermostats or home automation systems. 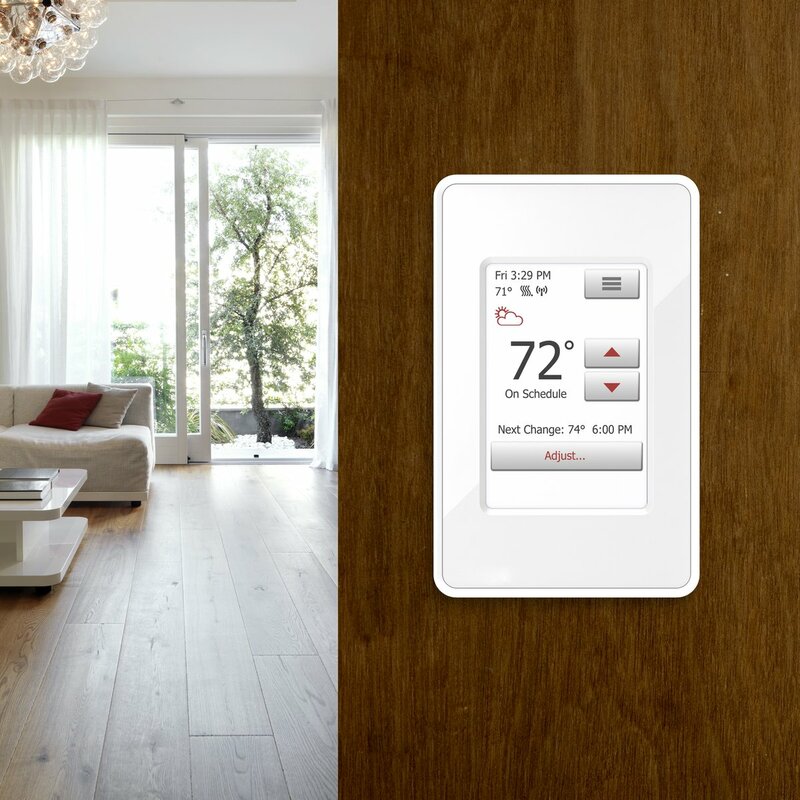 To find out what thermostats and home automation systems are compatible, call a WarmlyYours expert at 800-875-5285. Like the nSpire Touch WiFi thermostat, the Nest is programmable. However, it’s best known for its Auto-Schedule and Auto-Away features, which learn the homeowner’s schedule and sense when no one is home so it can turn down the heat accordingly and save energy. The thermostat also shows homeowners when they’re saving energy by showing a green leaf on the screen. The Nest displays the ambient (air) temperature of the room when it is used in conjunction with a WarmlyYours floor-heating system. The ambient temperature factors in the heat coming from the heated floors, but does not directly sense it, as there is no floor sensor with this thermostat option. 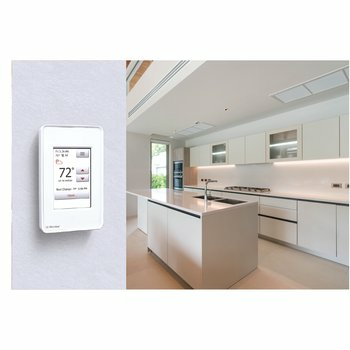 When it comes to home automation systems, a third-party integration kit allows the floor-heating system to connect to a low-voltage thermostat, which can then be integrated with the home automation system. Again, you’ll want to contact an expert at WarmlyYours to see which home automation systems are compatible. Once the thermostat is integrated, the home automation system gives the homeowner the opportunity to control everything from climate to lighting and entertainment systems from a single control, such as a smartphone, tablet or Web interface. For more information about third-party integration kits for smart thermostats and home automation systems, click here. You can also learn more about WarmlyYours’s line of floor-heating thermostats by clicking here.